I’m absolutely obsessed with oils, not only are they extremely hydrating, they keep your skin silky smooth. As much as I adore these oils, they tend to be quite greasy and never quite absorb fully into the skin. Dry oils are all the range right now, same great benefits, but without the sticky and greasy residue. 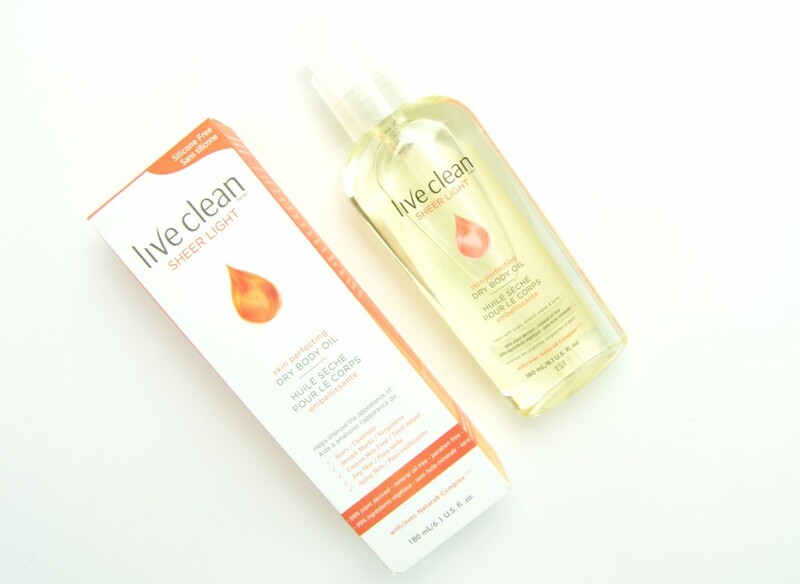 Live Clean has jumped on this bandwagon with the release of their new Live Clean Sheer Light Skin Perfecting Dry Body Oil and I have to say, it might just be my fave. Although we hate to admit it, winter is just around the corner, which means dry, cracked and irritated skin. 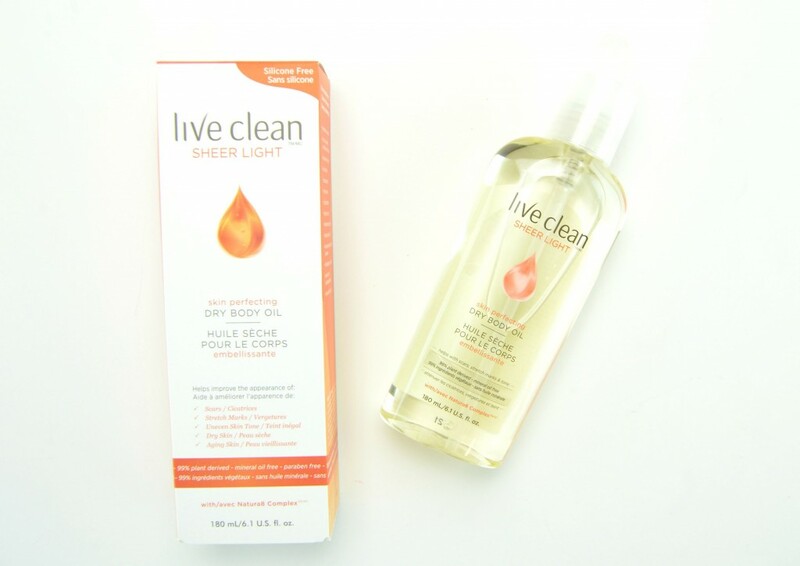 The new Live Clean Sheer Light Skin Perfecting Dry Body Oil will not only keep your skin highly hydrated this winter, but it will keep that healthy summer glow we all love so much. 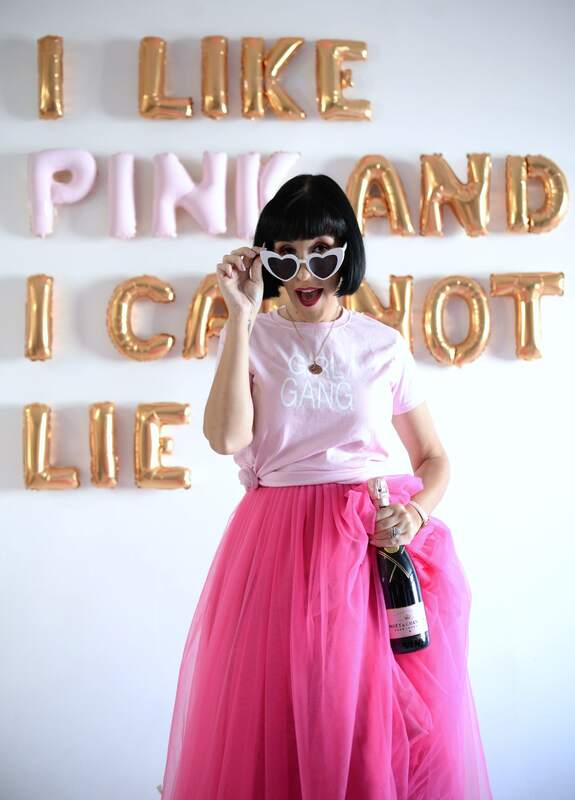 Its unique 99% plant derived and all natural formula is mineral oil, petroleum, paraben, silicone, phthalate, and dye free and never tested on animals. It’s enriched with vitamin E and C to provide extreme moisture and illuminating properties, while keeping it hydrated throughout the day with a smooth and silky finish. It also contains advanced skin perfecting formula featuring an innovated blend of certified organic oils, including safflower oil, argan oil, avocado oil, sesame seed oil, jojoba oil and coconut oil to help improve the appearance of scars, stretch marks, uneven skin tone, dry skin and aging skin. 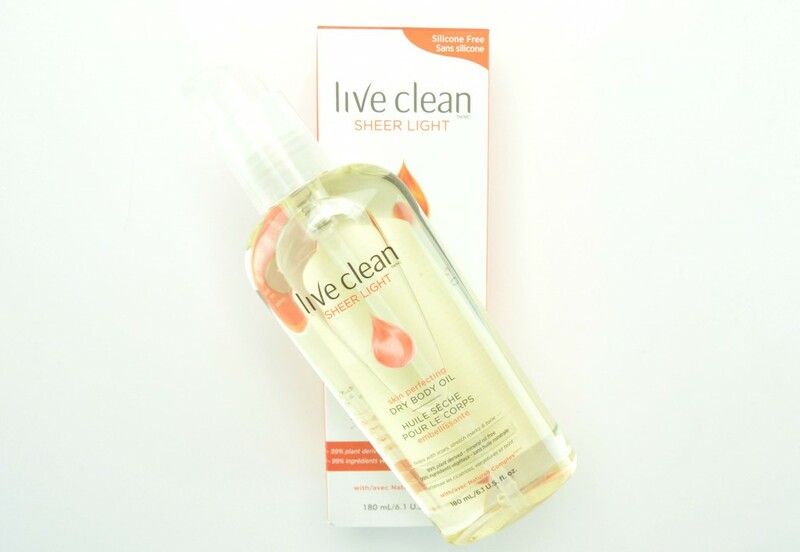 Live Clean Sheer Light Skin Perfecting Dry Body Oil comes in a handy and convenient plastic pump style bottle with an incredibly lightweight, thin and silky smooth texture. It immediately absorbs into the skin without a greasy or oily residue and it’s completely weightless formula feels like you’re wearing nothing at all. It helps to lock in moisture, while soothing dry areas and improving skin’s texture and tone over time. It’s light and airy texture is perfect for everyday use, as you’re able to get dressed within minutes of applying, allowing you to get on with your day sooner than a body lotion or butter. An excellent alternative. 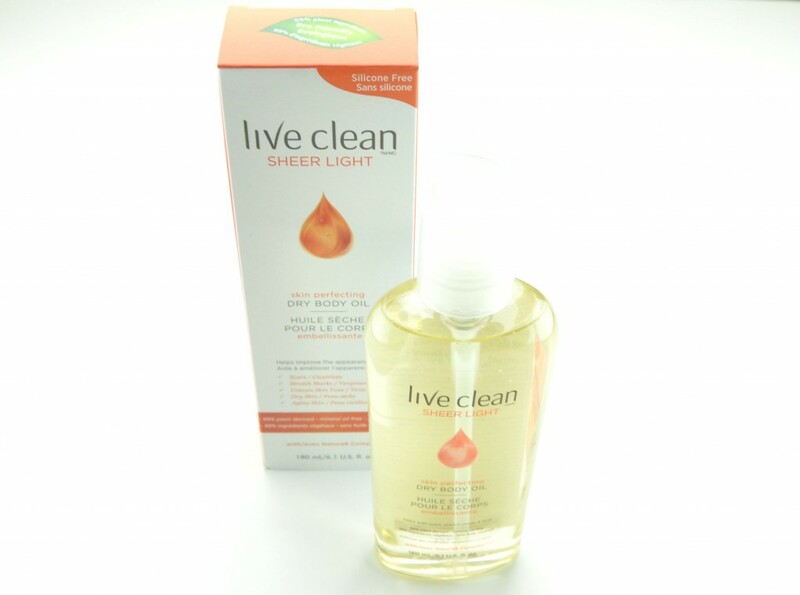 I’ve been applying a few drops of Live Clean Sheer Light Skin Perfecting Dry Body Oil to my damp body immediately after getting out of the bath, while my skin is still a little wet and gently massaging it into the skin. It not only helps to lock in moisture, that my rich and creamy body wash provides, it helps to leave my skin incredibly soft and supple the entire day. I’ve also been adding a drop or two to my bath water, when my skin is feeling extra parched and dry, as it not only helps to soften the skin, it actually helps to reduce redness and itchiness caused by dry, irritated skin. I know a lot of dry oils come in a spray bottle, while although may seem more convenient, I actually prefer the pump dispenser, as I feel I have more control over the amount of product this way. 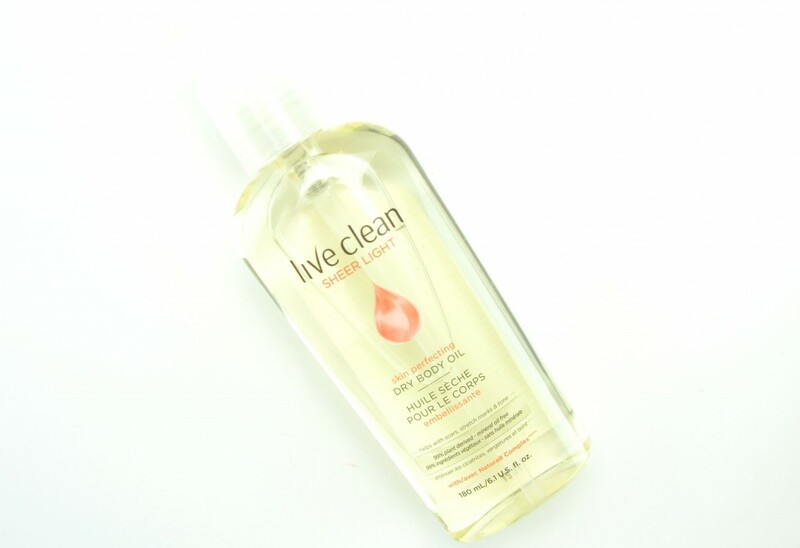 If you’re looking for something other than your traditional body lotion this winter, I highly suggest checking out a dry oil. It not only provides 24 hours of hydration and moisture, it adds a healthy sheen and shine to the skin without being sticky or oily. Skin is left feeling soft, smooth, silky and fresh. It retails for $9.99 for 180ml at your local Wal-Mart and Loblaws.